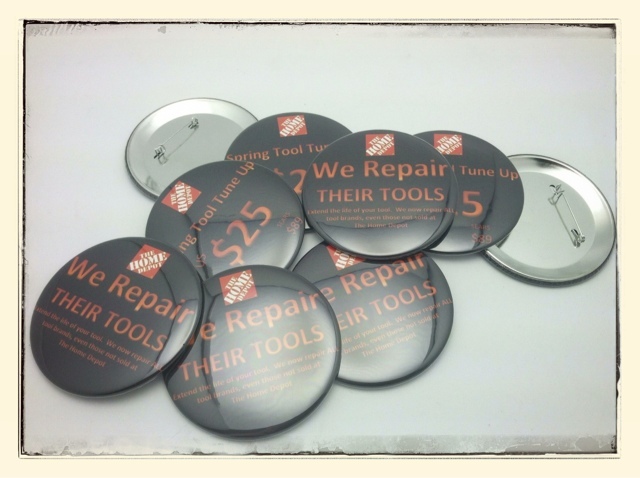 A 3" diameter custom button made to kick off a spring promotion. Your store employees can become mobile billboards, in a tasteful and helpful way with custom buttons. Custom buttons can help make your spring promotions a success! Quality Custom Buttons . A fraction of the price.